392 pages | 5 B/W Illus. 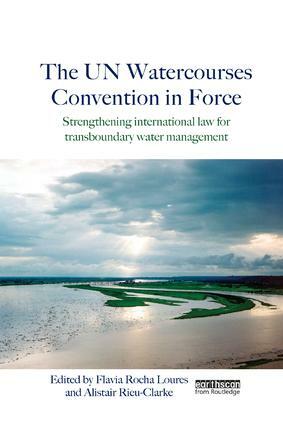 At the UN General Assembly in 1997, an overwhelming majority of States voted for the adoption of the United Nations Convention on the Law of the Non-Navigational Uses of International Watercourses – a global overarching framework governing the rights and duties of States sharing freshwater systems. Globally, there are 263 internationally shared watersheds, which drain the territories of 145 countries and represent more than forty percent of the Earth's land surface. Hence, inter-State cooperation towards the sustainable management of transboundary water supplies, in accordance with applicable international legal instruments, is a topic of crucial importance, especially in the context of the current global water crisis. Flavia Rocha Loures is a Senior Program Officer, International Law and Policy, in the Freshwater Program of WWF, based in Washington, DC. Alistair Rieu-Clarke is a Reader in the Centre for Water Law, Policy & Science (under the auspices of UNESCO) at the University of Dundee, UK.